The Nexus 5 might be getting rarer and harder to find these days, but we figure this only adds to the appreciation one has to have for one of the most customizable, tweak-encouraging, and up to date smartphones out there. If you're still holding onto your Google-y apparatus, you can trick it out with a feature from its big-bottomed successor, the Nexus 6. We're talking about Ambient Display notifications, which enables your phone to show new notifications as they come - right on your lock screen.. 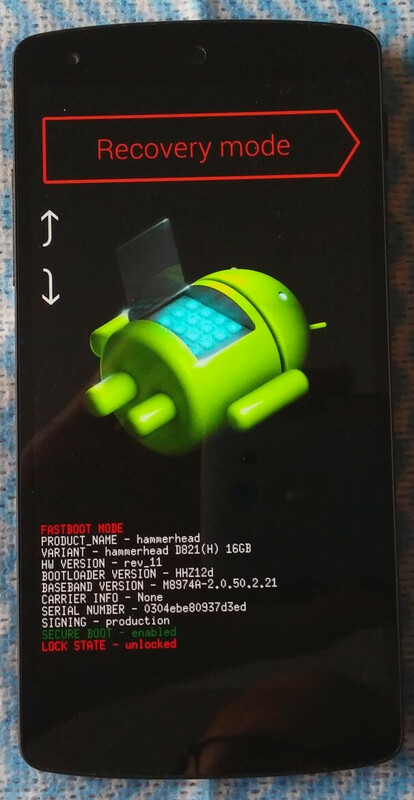 There are two prerequisites to get yourself sorted - a rooted Nexus 5 running Android 5.0 Lollipop, and a custom recovery to flash the Ambient Display mod. If you have both armed and ready, download this .zip file straight to your Nexus 5. 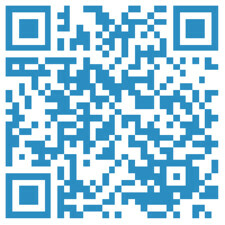 Either click/tap through, or use the QR code to the right. Now, turn the Nexus 5 off. Then press and hold the volume down and power buttons simultaneously, and you'll reach the bootloader menu. Press the volume down button twice until you see a big, red, glowing "Recovery mode" option. Then, press the power button to enter. Now, use the Install button menu of your recovery tool - in this case, it's ClockWork recovery - to navigate to the folder you put the flashable .zip in, select and flash the .zip file. The final step is to reboot the phone. 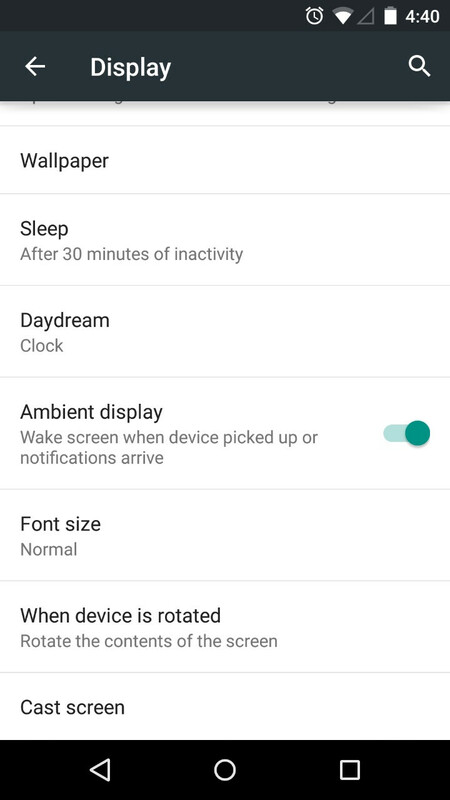 If everything went where we wanted it to, and it should have, the Ambient Display option will be waiting for you inside the Settings, Display menu. It is enabled by default, though, so you can carry on and happily get your notifications on your lock screen. Although your display will look like an old timey movie when notifications show up, it will return to its normal, colorful self once you start interacting with them. Power of Android, not locked into a set path that can not be changed. Wtg Devs, And Android!! Most preferred an used mobile OS in the world! While I do agree on you that Android has certain freedoms build in. You can not compare a rooted Android device to a non-jailbroken iPhone. With a jailbreak, the set path is no longer unchangable. You know it, I do too. Though when OEM provide ability to unlock an then provide asop to end users, you can't compare iOS back to droid as Apple has never condoned or support unlock/jailbreaks. True? Power of Android is you can with blessing, not in the darkness of the compost pile in the back of the walled garden. Please. stop. There is nothing on Android that You can't do with jailbreak on iOS. So jailbreaking an ios device allows me to replace the entire rom? Allows me to use custom recoveries to allow nand level backups? 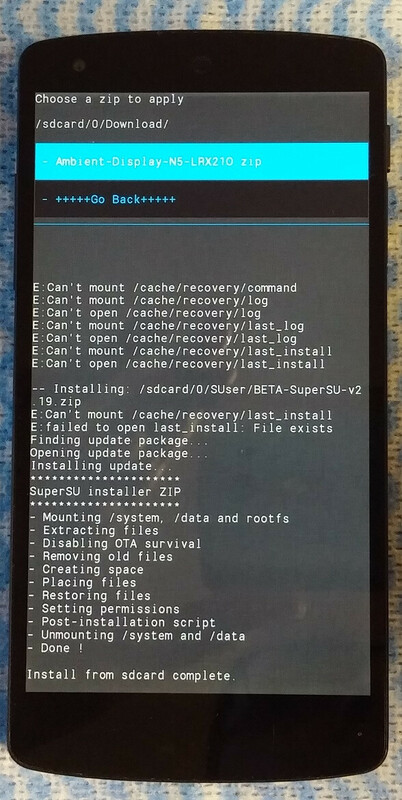 Apple will never, ever let you unlock its bootloader or see its source, two things which is possible on android. And which means ios or even WP, will never, ever be at a level of customization that android has. Uh ya, not really. 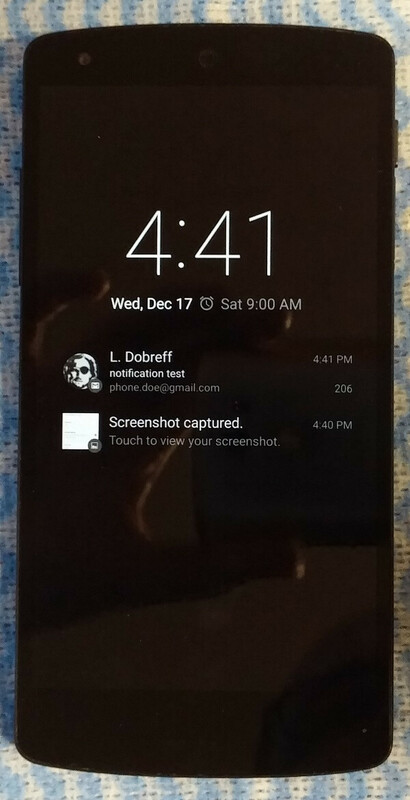 Nexus 5 has an LCD display. Turning this on will eat up battery VERY quickly. Still cool that it was done. Even with AMOLED, "ambient display" uses a lot of battery. The "always on / always listening" and the "ambient display" aspects of the Nexus 6 result in much less real world battery life compared to a Note 4, for instance, that has the same size battery. Yes it does, but it also adds more functionality over a single led that tells you nothing more than there is a notification. Ambient display, and also Moto Display, tell you what type of notifications are pending, without having to fully engage the display. Anytime functionality is increased, it will take a toll on battery life. Going the other way, if you disabled all apps, you'd get a huge increase in battery life, but no functionality. This won't save your battery on a Nexus 5. The Nexus 5 has an LCD screen, and when it's on, it's backlit regardless of what colors are displayed. The black background trick only works with AMOLED displays like the Nexus 6, the Moto X's, and the Droid Turbo. Of course, darker backgrounds also work on Samsung Notes and their other phones with AMOLED displays, but you don't get the nifty Active/Ambient/Moto Display notifications. Still, it's a cool feature. 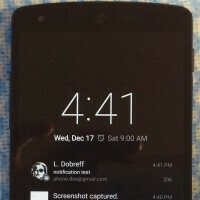 I use something like it on my Nexus 4 (LiquidSmooth ROM), and combined with Pocket Mode, the display automatically turns on when I pull the phone out of my pocket and I have a notification. Exactly what I was to comment. The title is wrong. LCD consumes equal power for all colors. It seems that whoever wrote this article did not quite understand the difference between LCD and OLED. The day my warranty expires!!! I need this!!! PhoneArena, there is a reason why this feature is only available for amoled display. I'm still waiting for Xposed to support android 5/ART. Btw I use Peek for ambient display, the app is super awesome. It only lights up you screen if you pick your phone up after receiving a notification in the specified time window. I'd still rather have a notification light.